It's an unforgettable experience, whatever you're watching. An ideal match for the largest and most lavishly equipped home cinema rooms, the VPL-VW5000ES brings movies to life with extraordinary cinematic detail, colour and contrast. 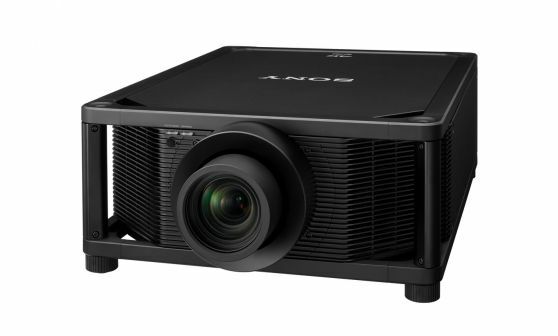 The world's most advanced home cinema projector combines an advanced laser light source with the same Sony 4K SXRD panel technology that's found in our professional cinema projectors. Crisply detailed native 4K images (4096 x 2160) offer four times the resolution of Full HD, pulling you right into the heart of the action with unprecedented clarity. You'll experience fabulously rich cinematic colours, smooth motion and spectacular contrast. Extremely powerful 5000 lumen brightness ensures wonderfully clear and sharp big-screen pictures, even in well-lit rooms. The ultra-pure, highly efficient laser light source provides virtually maintenance free operation with no lamp swaps. As well as spectacular picture quality and reliability, you'll enjoy reduced operating costs compared with conventional projection systems, plus less worry of lamp failure half way through the show. You're future-proofed with compatibility for the latest 4K standards, including High Frame Rates and HDR (High Dynamic Range) - so you'll get the very best out of today's content, and tomorrow's. With flexible installation, simple setup, fuss-free auto calibration and low-noise operation, the VPL-VW5000ES 4K Home Cinema Projector puts you in control of the ultimate entertainment experience. As well as projecting native 4K content, the VPL-VW5000ES upscales your Full HD Blu-ray™ or DVD movie collection to 4K with Reality Creation - Sony's Super Resolution processing technology that enhances lowerresolution content, and even upscales 3D movies to 4K resolution.